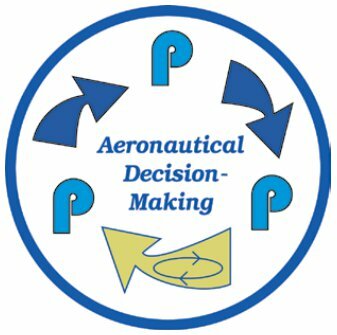 The 5 Ps consist of "the Plan, the Plane, the Pilot, the Passengers, and the Programming"
The flight plan consists of the basic elements of cross-country planning, weather, route, fuel, publications currency, etc. 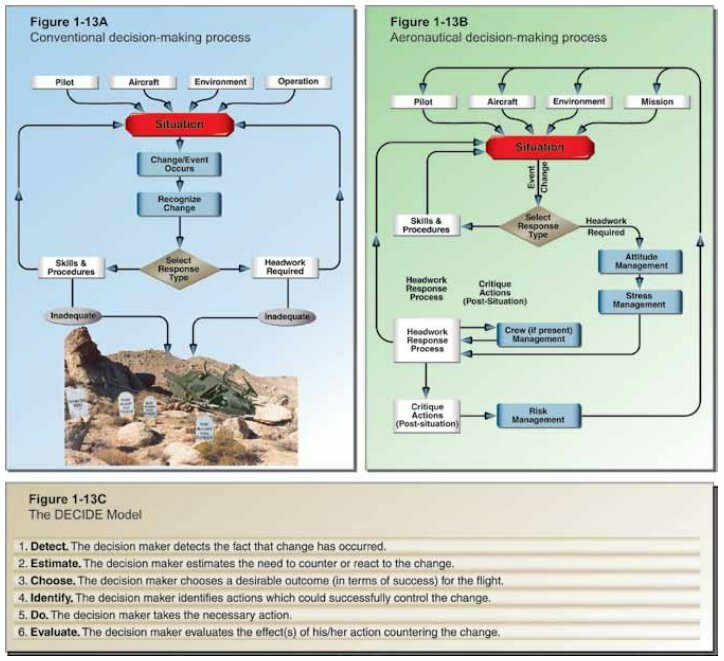 In the second step, the goal is to process this information to determine whether the identified hazards constitute risk, which is defined as the future impact of a hazard that is not controlled or eliminated. 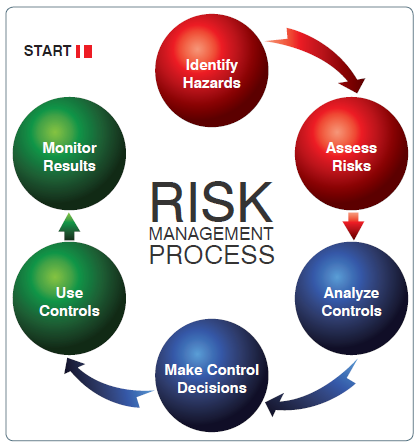 The degree of risk posed by a given hazard can be measured in terms of exposure (number of people or resources affected), severity (extent of possible loss), and probability (the likelihood that a hazard will cause a loss). The goal is to evaluate their impact on the safety of your flight, and consider "why must I CARE about these circumstances?" Everyone is stressed to some degree almost all of the time. A certain amount of stress is good since it keeps a person alert and prevents complacency. Effects of stress are cumulative and, if the pilot does not cope with them in an appropriate way, they can eventually add up to an intolerable burden. Performance generally increases with the onset of stress, peaks, and then begins to fall off rapidly as stress levels exceed a person’s ability to cope. The ability to make effective decisions during flight can be impaired by stress. There are two categories of stress—acute and chronic. These are both explained in Chapter 17, "Aeromedical Factors"